The ability to move throughout the City and to local destinations by private and public transport options, and being able to walk and cycle safely and efficiently. We value this because the convenience and time saving associated with excellent transport options can enhance quality of life at all life stages. 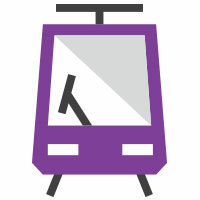 Strategic Objective 5: Travel options that are connected, safe, accessible, environmentally sustainable and well-designed. Strategy 5.1 - Improve road safety for pedestrians, drivers and cyclists through infrastructure improvements, education and traffic-management initiatives. Strategy 5.2 - Address road congestion through an integrated approach that better manages traffic and promotes public transport, walking and cycling initiatives. Strategy 5.3 - Advocate to the State and Federal governments for improvements to public transport services and main roads throughout the City. Strategy 5.4 - Promote and increase active and environmentally sustainable travel options, including cycling, walking and access to public transport. Strategy 5.5 - Develop and implement innovative solutions to efficiently manage parking options to respond to demand, changing transport trends and community needs. Strategy 5.6 - Partner with schools and other traffic generators to address traffic and parking congestion during peak traffic times. Strategy 5.7 - Plan and advocate for better access and transport strategies to assist people with limited mobility, including those with disabilities and older adults, to travel in Boroondara to increase their participation in community life. We'll use the following high level indicators and data to assess our progress towards achieving Strategic Objective 5. Detailed indicators will be published in the adjusted Council Plan 2017-21 and reported against in the Annual Report.